(1992) is an Italian classical and electric guitarist. His aim is to spread contemporary music and to enlarge the repertoire for the guitar. For this reason he constantly collaborates with and commissions new pieces to young composers. 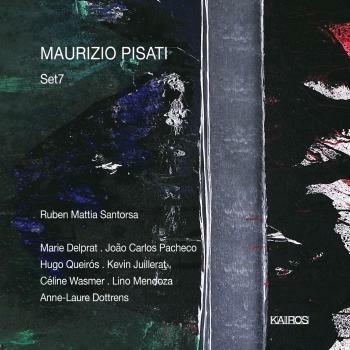 His musical mentors are Maurizio Pisati, Walter Zanetti and Elena Càsoli. Meeting and working with composers such as Helmut Lachenmann, Salvatore Sciarrino, Giacomo Manzoni, Sylvano Bussotti and Helmut Oehring was crucial for his musical growth. He has given concerts in Italy, Switzerland, Austria, France, Hungary, Germany, Colombia, Slovenia, Bosnia and Herzegovina. In addition to his career as a soloist, he is also continuing his research on contemporary music in chamber music and performing regularly with ensembles such as Ensemble Contrechamps, Nec Ensemble and Sonemus Ensemble. 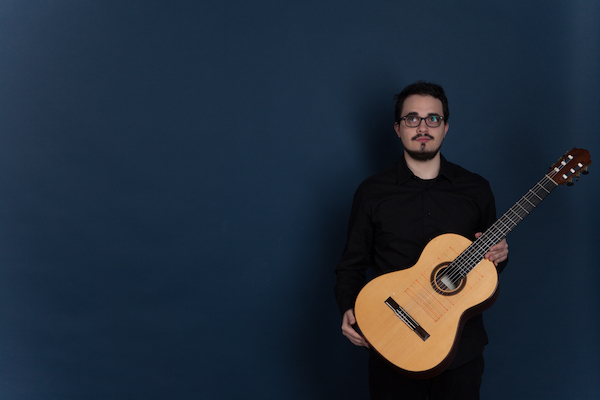 Ruben Mattia gave a lecture on the Contemporary Guitar for the composition class of the Conservatoire Superieur de Musique et Dance de Paris. He graduat- ed the Master Specialised in Soloist with a specialisation in contemporary music at the Hochschule of Bern with Elena Càsoli and he also studied guitar and composition at the “Conservatorio di Musica G. B. Martini” of Bologna. He won the Swiss Government Excellence scholarship for the years 2013–2015. He collaborated with the labels Stradivarius and Neos.